My Story is the story of how true collaboration can draw out the core of what it takes to be an artist. The South Stradbroke artists camp has created and opportunity for artists to share their ideas, and explore new and exciting methods of artistic expression. The 2015 camp was led by Fiona Foley, offering a creative exchange through intense workshops and shared conversations. During their time on the island, this process revealed the complex intimate experiences of each person's art journey and uncovered family links and connections to the island. In Ey! Iran, social realities of hope, temptation, nostalgia and introspection are captured through the Persian lens. The exhibition depicts a culture surprisingly familiar to ours - narratives of family life, suburban sprawl and poignant observations on a country immersed in longstanding customs and traditions. The artists take on issues of identity, gender and social restrictions and by doing so capture a side of Iran which is often contrary to that presented by the Pentagon and the western media. 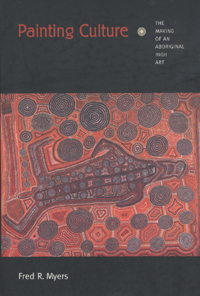 Catalogue of exhibition held at the Gold Coast City Art Gallery in 2006. 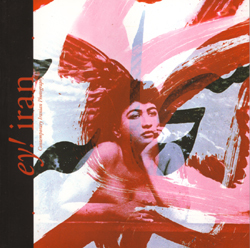 Artists include; Dadbeh Bassir, Shadi Ghadirian, Amirali Ghasemi, Mohammad Ghazali, Arash Hanaei, Ghazale Hedayat, Peyman Houshmandzadeh, Bahman Jalali, Hana Mirjanian, Reza Paydari, Leila Pazooki, Sadegh Tirafkan, Hamila Vakili, Hossein & Angela Valamanesh and Mohsen Yazdipour. Saltwater People of the Broken Bays explores the incredible history and natural beauty of the coastline between North Head and Barrenjoey. These golden beaches found along this coastline were the birthplace of Australian beach culture. Manly Beach and neighbouring Freshwater are the home to where beach bathing, surf life saving and board-riding all began in this country. What is not so well known is the strong link to the ocean of the Aboriginal clans who enjoyed a highly sustainable lifestyle along this coastline for tens of thousands of years before the arrival of the Europeans. 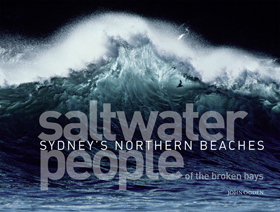 The book reveals the spirit of the northern beaches through the lens of history, and explores our relationship with that energized zone where the ocean meets the shore. This book will raise awareness about the need to preserve threatened rock art, and champions the construction of a permanent site on the northern beaches acknowledging the first people. 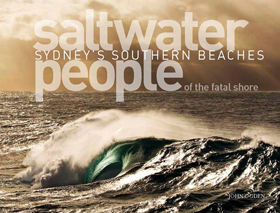 Saltwater People of the Fatal Shore is a detailed history of that beautiful stretch of Sydney's coastline between South Head and Royal National Park.This coastline features world renown beaches such as Bondi, Maroubra and Cronulla, as well as places of great historical interest. Botany Bay was where James Cook first made landfall on the east coast of Australia and made claim to the continent. It was also were the First Fleet arrived with its human cargo. Before these events it was home to the Aboriginal people for tens of thousands of years. It is not just surfers that are attracted to this zone. Sydneys magnificent beaches have produced some truly unique individuals and some incredible stories. They are home of the worlds most recognized painters, potters, writers, poets, photographers, film-makers, musicians and architects. This book pays homage to those remarkable people who have made this coastline home. The many beautiful photographs found in the book include work by Harold Cazneaux, Max Dupain, David Moore, Frank Hurley, Jack Eden, Bob Weeks, Peter Solness, Bill Morris, Brad Malyon and many other great contemporary photographers. Gordon Bennetts work revolves around his personal search for identity and his confrontation with overt racism, commenting on issues of cultural identity, colonialism, racism, freedom and the dominance of Western history  including art history from where he appropriates images, quoting artists such as Mondrian, Van Gogh, Basquiat and Pollock. 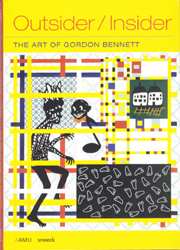 In this book there is a selection Gordon Bennett's work from throughout his career. He is is regarded as one of Australias most significant contemporary artists. Gordon Bennett has had over sixty solo exhibitions and his work was shown at the Biennales of Venice, Sydney and Shanghai. His works are included in over 100 art collections, including those of the Museum of Contemporary Art in Sydney and the National Gallery of Victoria in Melbourne. Brook Andrew is an Indigenous Melbourne-based artist who works with neon, installation, photo-media, mixed-media, performance & video. He challenges cultural & historical perception, using text & image to comment on local & global issues regarding race, consumerism & history. For six months Brook Andrew filled the AAMU Museum in the Netherlands with 19th-century depictions of Aborigines alongside his large inflatable Wiradjuri-clad clowns (similar to his Biennale Jumping Castle), Aboriginal sculptures, kitsch souvenirs and neon. This book features substantial text by curator Georges Petitjean, Aboriginal activist Marcia Langton, art historians Anthony Gardner & Georges Petitjean, and a recorded conversations between Brook Andrew & Maria Hlavajova. 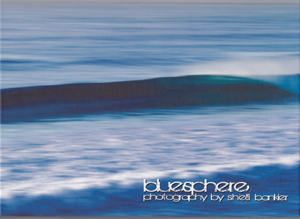 Shelli Bankiers photographic work of the Ocean steps away from commercial surf photography. She manages to apture those beautiful moments that we experience out in the ocean, those moments that give peace to your heart and beauty to your soul. Shelli has always felt a strong affinity and passionate love for the Ocean, of the beauty and freedom that the Ocean so inspires. This beautiful photographic art book features waves, forms and ocean moments from Australia, Hawaii, Tahiti and more, with unique and original photography, art elements and writing, by Shelli Bankier. The stories in this book reflect on the tangible, core themes of connection to family and to country. 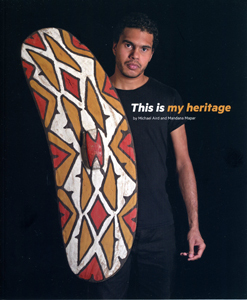 They also acknowledge the unique techniques used to craftsome of the artefacts and signpost historical and political milestones in Queensland Indigenous history. In our own way, each of us gathers mementos and keepsakes around us as we remember our past and look towards the future. Our collective stories and memories guide us to tell our own personal narratives with strength and conviction. 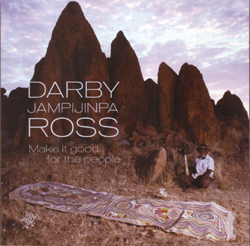 Darby Jampijimpa Ross (1905-2005) had a constant drive to communicate the certain ways he saw the world from his camp at Yuendumu, a remote community in the Tanami Desert. Always with the conviction that Walpiri ways should be considered alongside non-indigenous ways, in order to survive and prosper. For many decades he had facilitated ground, sand and body painting during ceremonial business, and when new materials became available Darby was quick to exploit them for his purposes. His foray into painting with the full spectrum of acrylic paint colours began when he was around the age 80, and can now be regarded as an innovative and significant contribution to Australian art and culture. 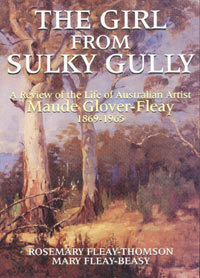 Maude Fleay-Glover was a pioneer Australian woman artist in every sense of the word. She had entered what had previously been considered the 'man's world' of art in the late 1880's determined to battle against the tide of discrimination in pursuing her all consuming desire for an artistic career. Painting Culture tells the complex story of how, over the past three decades, the acrylic "dot" paintings of central Australia were transformed into objects of international high art, eagerly sought by upscale galleries and collectors. Fred Myers tracks the way these paintings become high art as they move outward from Indigenous communities through and among other social institutions - the world of dealers, museums and critics. At the same time he shows how this change in the status of the acrylic paintings is directly related to the initiative of the painters themselves and their hopes for greater levels of recognition. The book also explores the awkward issues around valuation and sale of the acrylic paintings. It also traces the shifting approaches of the government and key organisations such as the Aboriginal Arts Board to the promotion of the work and describes the early and subsequent phases of the works' inclusion in major and international exhibitions. The first major publication on the work of this noted artist. 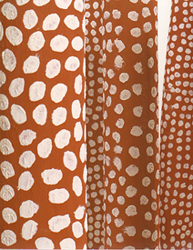 It presents Foley’s practice as a unique voice in Australian art and a strong presence in contemporary Aboriginal culture. Ben Genocchio, national arts Correspondent for The Australian, explores Fiona Foley’s art and its engagement with a variety of themes. 2001, Hardcover in dust jacket, 96 pages, fully illustrated in colour on quality art paper with chronology. Vast open grasslands, desert ochres, red ironstone rock and deep freshwater running beneath it all. 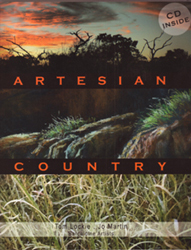 This stunning landscape inspired Artesian Country, a book of works by 12 local artists from the Barcaldine, Aramac and Jericho region of central western Queensland. Accompanied by audio tracks which feature the rugged outback voice of Barcaldine local larrikin, Tom Lockie, this exhibition catalogue brings to life different personal responses to the unique landscapes, people and places these non-Aboriginal artists call home. Encompassing varying forms of painting, photography and sculpture, Artesian Country is a community-developed exhibition that shares multiple perspectives of a beautiful region. 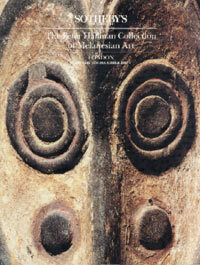 Limited edition Sotheby's auction catalogue of 490 copies. Many of the artifacts in this Queensland collection have not been illustrated elsewhere. Numerous unique specimens are shown for the first time. Each artifact includes provenance, most with precise point of field collection. Hardcover in dust jacket, 120 pages with 167 pieces illustrated in colour with two maps. by William C. Ketchum Jr. This beautifully illustrated book features the rich artisitic heritage of Native Americans from centuries past to the present day. The broad range of artisitic styles in this book include;ceramics, basketry, beadwork and jewelry, pottery, textiles, dolls and toys, sculpture and clothing. Featured are over 100 colour photographs of rare museum objects through to a broad range of contemporary artworks. 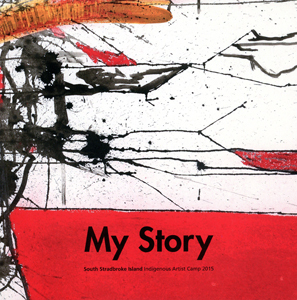 This book was launched to celebrate a major exhibition by successful Anglo-Australian artist, Scott Redford. The works reflect Scott's life-long love affair with his home town, the Gold Coast. His work is represented in most major Australian public collections. 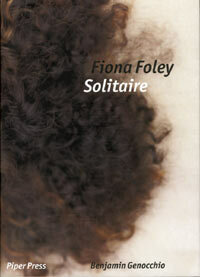 The essays give an insight into his art practice and focus on his newer work. This fully illustrated book is recommended for anyone interested in contemporary Australian art. The book features over 200 images of paintings, sculpture, installations, video-clips and photographs. New reprinted edition with modifications directed by the artist.